How many levels will the podium be ? The latest floor pour is happening right now (Monday morning). Photos from 28/9/2018 view from North tce. As for glass, I hope it's manufactured in Australia and not a cheap Chinese import. Ho Really wrote: As for glass, I hope it's manufactured in Australia and not a cheap Chinese import. The majority of glass is made in China. Not all of it is cheap, just the stuff we keep buying. There's a glass factory near the Sturt Highway north of Gawler. I suspect that makes bottles not windows though. THE developers of what is set to become Adelaide’s tallest building is at loggerheads with the Adelaide City Council over proposed changes to the development. The 135m-tall Adelaidean hotel and apartment complex on Frome St will be the tallest building in the city once it is complete but construction of the $100 million has encountered another snag — leading to the State Commission Assessment Panel (SCAP) to step in. Adelaide architecture firm Brown Falconer, who have designed the Adelaidean on behalf of Kyren Group, have applied to SCAP to vary the development authorisation granted for the project in December 2016. The amendment involves the proposed use of an area within the adjacent car park structure to the tower to provide a pick-up and drop-off facility for hotel guests. But SCAP agenda papers reveal that this is “contrary to a longstanding expectation” between the proponents and the Adelaide City Council that the nearby Tavistock Lane — which has been described as “dark” and “nasty” — would be improved to serve as a pick-up and drop-off facility. The papers say the council is not supporting this proposed change “due to increased risk of vehicle conflict, compromised pedestrian safety and traffic congestion”. The two parties have had various meetings in an attempt to break the stalemate, but the discussions have stalled. However, it is not the only proposed change. 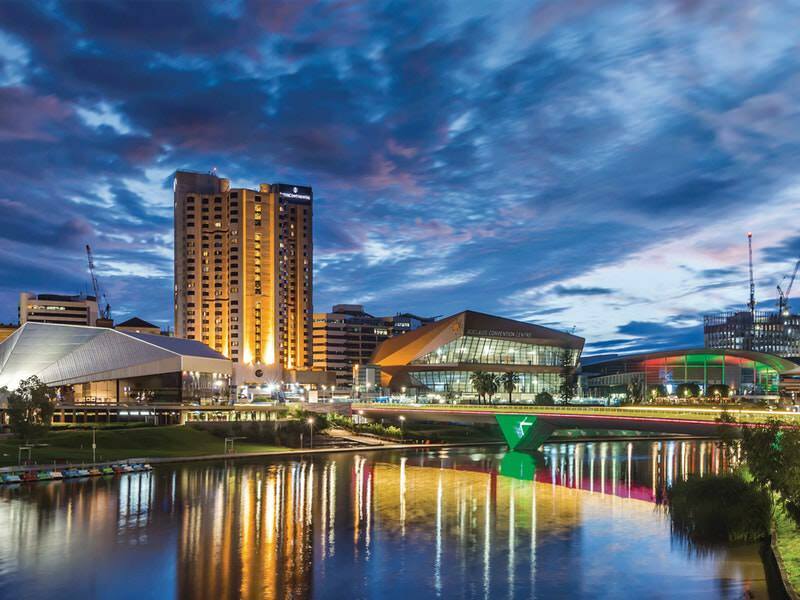 The Adelaide City Council has supported other proposed amendments to accommodation types, core layouts, bicycle parking and the removal of recessed balconies — including the abolition of serviced apartments. It would result in the previously proposed 106 serviced apartments being replaced with 80 hotel suites on levels 11 to 20. Private apartments will remain over levels 22 to 34 of the tower. The panel is proposing at its meeting on Thursday to defer a decision on whether to give the Adelaidean proponents development plan consent, with the agenda papers saying the revised pick-up and drop-off point for hotel visitors is not supported and would “fall short” of the Development Plan’s expectations. The Advertiser has approached both the council and Kyren Group for comment. Earlier this year Kyren Group launched court action in an attempt to blockthe neighbouring $60 million student accommodation development by Global Student Accommodation Australia after SCAP approved it in April. Kyren Group argued it was approved without community consultation but in August Environment Resources and Development Court Judge Susanne Cole rejected the challenge. The Adelaidean is due to be completed in 2020. Im with the council on this one. If the developers commenced the building on the understanding the pickup/drop off for the hotel was to be in the lane, then its a bit rich to expect it to be allowed to change once construction has commenced. Seems developers have "developed" a taste for blind siding the council with all sorts of amendments once construction is under way. As long as it doesn't lose any height, I don't mind what changes are lobbied or happen (unless they're obviously bad ones). Ffs, why does it matter if it loses any height? Personal preference. I like the way Adelaide's skyline is headed and a building like this one plays a key role in modernising and simply just helping to change it from the 30 year old image of Westpac being the tallest. And because I like tall buildings, I'd rather this one be as tall as realistically possible.